The ultimate in LED disco dance floor hire. Our funky retro dance floor is where we started off we now have a huge range to choose from and they all look amazing. Whether you are after a small or large disco dance floor we can help. This type of dance floor is one of the most sophisticated around. All controlled by a member of staff you will be dazzled at what you will see. While you and your guests are dancing the night away one of our trained team will be making a spectacle right under your feet with thousands of displays and features our LED dance floors really are of a different league. Our professionally trained installation team will install and dismantle the dance floor making sure it is prepped in the best possible way so that you feel like you are dancing on a brand new retro dance floor. With this dance floor you really can’t do anything but want to dance. The lights and sequences it shines out are so inspiring even the oldest of you have no choice but to get up and have a dance. We can guide you through the selection period and make sure you get the perfect LED disco dance floor possible for your event. Whether the event is a wedding, party, corporate launch or even a small gathering if you want a real eye catching dance floor that has a huge wow factor then this is the perfect choice for you. All of our dance floors come in different size options and we have a small chart below to give you an idea of what may work for your event. 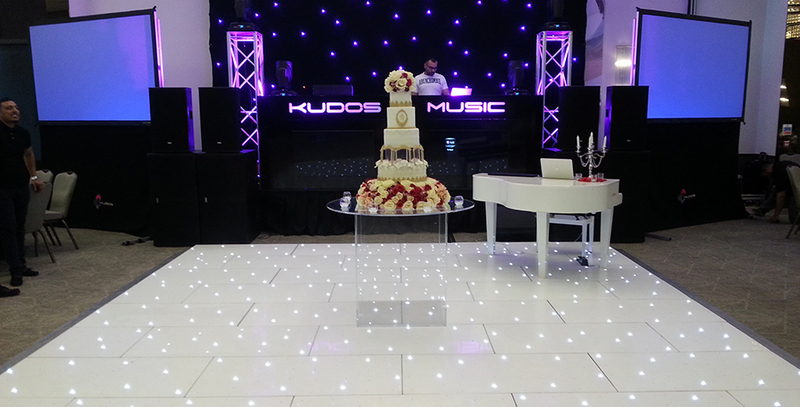 With the LED disco dance floors please bear in mind that it is slightly more raised than the other styles we offer.